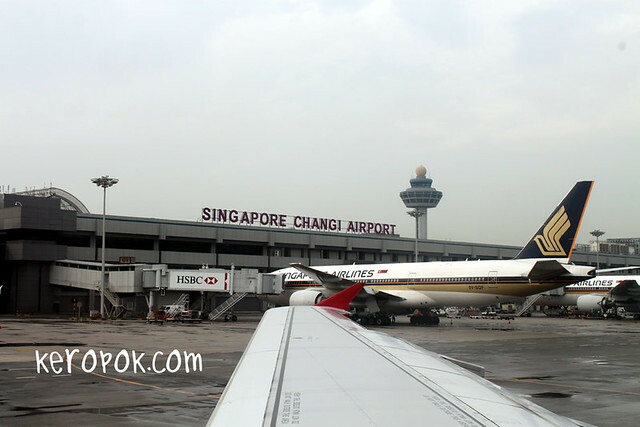 Changi Airport as viewed from inside a plane from the runway. Can you guess the plane I am on by the colour of the tip of the wing? I realise that in many airports that I have landed, the aerobridges are always plastered with adverts from HSBC. Is that the case with the airport in your city? What's the thing that you do when the plane lands? Qantas is also red ya. SELAM ber TÜRKİYE deyim SİNGAPURU çok seviyorum gelmeyi çok isterim inaşallah gelmek nasip olur.